Sit inside and stare with melancholy out the window. Dress up as a poor English boy and stare with melancholy into someone else’s window. Go cardboard sledding at Pt. Defiance. Try public transportation. Trust us, it’s never boring. Snowshoe to Peaks and Pints uphill from your house. Drink the cider flight. Slide back home. 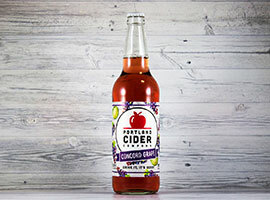 The reigning purple jewel of Portland Cider Co.’s seasonal cider releases, Concord Grape is a deliciously tart blend of 100 percent Northwest apple cider and fresh pressed concord grapes. It’s on the sweeter side of semi-dry with a light body, and low to moderate tartness. We get notes of tart green apple, purple grape juice, lemon, and pomegranate. Cider is bound to no particular season, but nothing gets Peaks and Pints fully tuned in to the colder seasons like apples with some extra spice, or spices in the case with chai. The name “chai” is actually the Hindi word for “tea,” which was derived from “cha,” the Chinese word for “tea.” The Hindi term chai means a mix of spices steeped into a tea-like beverage. Recipes for chai vary across continents, cultures, towns and families. But the traditional ingredients of a spiced tea blend usually include black tea mixed with strong spices, like cinnamon, cardamom, cloves, ginger and black peppercorns. The spiced tea mixture is typically brewed strong with milk and sweetened with sugar or honey. 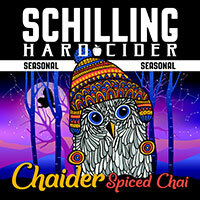 For Chaider, Schilling Hard Cider collaborates with Dragonfly Chai, Portland’s organic tea microbrewery, mixing Organic Dragonfly Chai Mix with fresh pressed apple juice and yeast. Nose is intense chai spices; the flavor is also fairly dominated by chai spices, however there’s a mix of vanilla, and sweet apples in there. 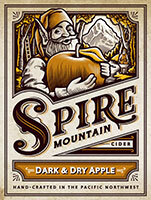 Grant Barnes and Neal Hennessy started making cider as a hobby, and it turned into a vocation. 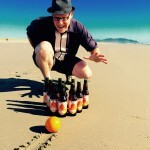 One Tree Hard Cider started in Barnes’ Spokane Valley garage, with exactly one recipe: a relatively straightforward semi-sweet apple cider. They went pro in the summer of 2014. One Tree’s Caramel Cinnamon is an apple pie in a glass. Sweet notes of caramel and apples married together with the spice of cinnamon for a complex, classic American flavor profile. 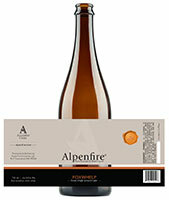 Pressed in the winter from 2016, fermented slow with champagne yeast then left to mature in stainless for 12 months, Alpenfire Cider’s Foxwhelp is made with the Port Townsend cidery’s organic estate bittersharp Foxwhelp trees, which were planted in 2003. These beautiful apples are the size of soft balls, great for blending and making this spectacular single varietal. It’s on the sweeter side of dry with moderate tartness and a hint of bitterness and funk. The taste is acidic heirloom apple, wood, nut, lemon and yeast.